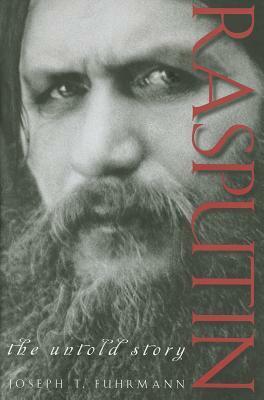 Based on new sources—the definitive biography of Rasputin, with revelations about his life, death, and involvement with the Romanovs A century after his death, Grigory Rasputin remains fascinating: the Russian peasant with hypnotic eyes who befriended Tsar Nicholas II and helped destroy the Russian Empire, but the truth about his strange life has never fully been told. Written by the world’s leading authority on Rasputin, this new biography draws on previously closed Soviet archives to offer new information on Rasputin’s relationship with Empress Alexandra, sensational revelations about his sexual conquests, a re-examination of his murder, and more. Based on long-closed Soviet archives and the author’s decades of research, encompassing sources ranging from baptismal records and forgotten police reports to notes written by Rasputin and personal letters Reveals new information on Rasputin’s family history and strange early life, religious beliefs, and multitudinous sexual adventures as well as his relationship with Empress Alexandra, ability to heal the haemophiliac tsarevich, and more Includes many previously unpublished photos, including contemporary studio photographs of Rasputin and samples of his handwriting Written by historian Joesph T. Fuhrmann, a Rasputin expert whose 1990 biography Rasputin: A Life was widely praised as the best on the subject Synthesizing archival sources with published documents, memoirs, and other studies of Rasputin into a single, comprehensive work, Rasputin: The Untold Story will correct a century’s worth of misconception and error about the life and death of the famous Siberian mystic and healer and the decline and fall of Imperial Russia. 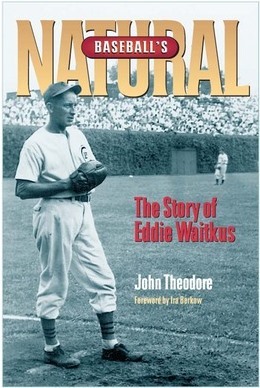 Baseball’s Natural is John Theodore’s true account of the slick-fielding first baseman who played for the Cubs and the Phillies in the 1940s and became immortalized in baseball lore as the inspiration for Bernard Malamud’s The Natural. Eddie Waitkus grew up in Boston and fought in the Pacific theater in World War II. Following the war, Waitkus became one of the most popular players of his era. In 1949, with his career on the rise, his life changed dramatically in a Chicago hotel when a nineteen-year-old shot him in the chest. Waitkus’s dramatic recovery the next year inspired his teammates as the Phillies won the National League pennant. Although Waitkus survived the shooting, he could never outlive it. Through interviews with Waitkus’s family, fellow servicemen, former ballplayers, and childhood friends, and aided by fifteen photographs, Theodore chronicles Waitkus’s remarkable comeback as well as the difficult years following his Major League career. Posted by Belleza on May 15, 2013 in Uncategorized.